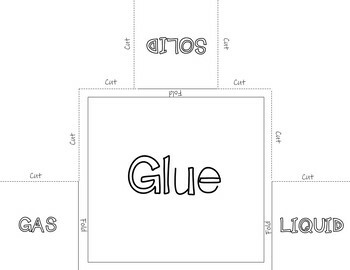 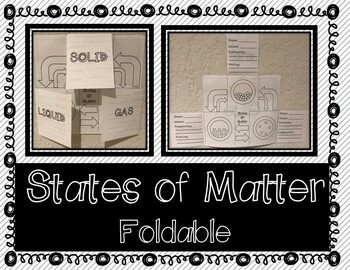 This foldable introduces students to three states of matter (solids, liquids, and gases). 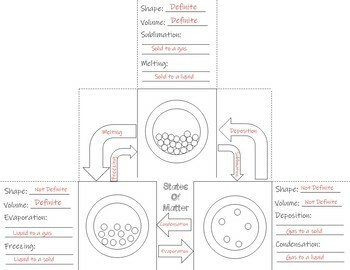 The foldable has a space for students to take notes on phases changes (evaporation, condensation, melting, freezing, sublimation, and deposition), and define the volume and shape of each state of matter. 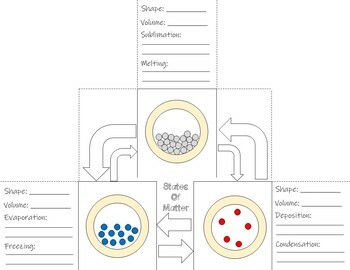 Color and black and white printing options are available.